Thank to its high fiber and mineral contents, brown rice can help you lose weight. 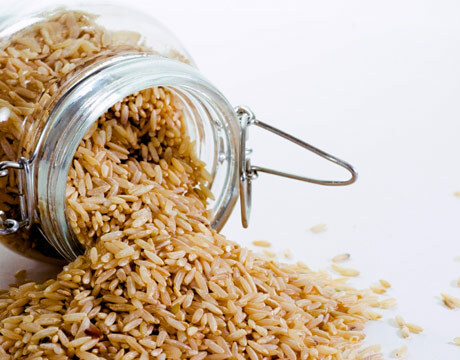 Over 60% of brown rice's nutritional value is given by bran. Brown rice is not only high in healthy nutrients and minerals but comparing to white rice, its glycemic index is much lower - so after you eat it, the blood's sugar levels will not jump and you will feel full for a long time. During the diet, its important to avoid all sugar and sweeteners. Dairy is blacklisted too, except for fat-free yoghurts and fermented milk. Other grains can be ignored, but you can have 1-2 slices of whole-wheat bread. Allowed foods in the diet: veggies, sour fruits and fish. Dried fruits and 1-2 pieces of a chocolate bar is allowed as a snack. Drink lots of water, green teas and 100% fruit or veggie juices. The diet takes 6-7 days maximum, with an expected 3-4lbs weight-loss.